The problem with a lined cover is they can trap moisture and kept it pressed against the surface of the car. This is the exact thing you're trying to keep from happening. In this instance, if you plan on keeping your car outside for a considerable amount of time, it is best to find a cover that is breathable. They have microscopic holes that allow trapped moisture to escape without letting rain in. If you are trying to protect your vehicle from the sun, then the cover needs to be totally UV proof. You should choose one that is strong and won't degrade in the sun or become brittle. There are nice choices that offer both water and sun protection if your vehicle is subject to both extremes. The more features, though, the more expensive the cover will be. You will also need to find a cover that can properly be secured and won't flap itself off over time in the wind. The flapping itself can cause damage if it's also slapping the body of your vehicle. This is mainly caused by cheap, universal covers and will cause more harm than good. The winter months can be harsh on your car, so it's important to protect any vehicles that you store outside. 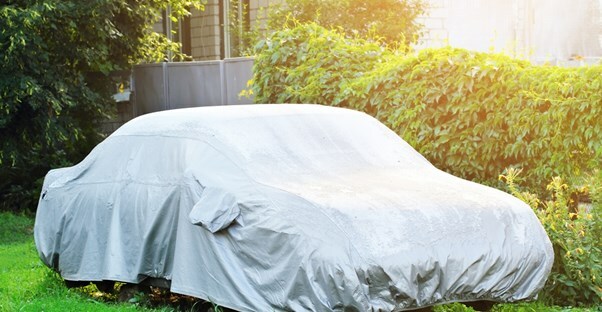 In addition to the daily morning frost, you need a car cover that will shield your car from sleet, snow, and hail. Choose something durable that fits well. This will prevent any unwanted snow or ice from attaching to your car so you won't have to worry about defrosting your car or scraping the windshield.